From SLE to Denali we carry all available genuine GM parts and accessories for your GMC. Whether you drive a brand new Terrain or a classic 1985 Safari, GM-Car-Parts.com has the OEM parts and Accessories you need. 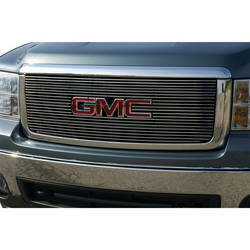 Get the genuine GMC parts and accessories you need for your vehicle at GM-Car-Parts.com. Keep your GMC running and looking like new for years to come. Parts are generally shipped within 24 to 48 hours of your order and can be expected via FedEx Ground in 2-5 business days. 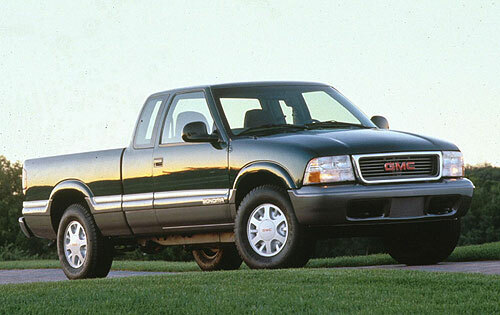 GMC parts offered by GM-Car-Parts.com include models such as the Acadia, the Envoy, Tahoe, Van and Yukon XL just to name a few. Click the link above to find the GMC parts you need. Order over $300 and your order may qualify for FREE shipping*. We also have Freight Shipping available for larger part orders such as replacement Bumpers and body parts for your GMC. Have questions about your order, we check every order against the GM catalog to make sure you get the right parts for your GMC the first time. GM-Car-Parts.com really is parts ordering made easy. First produced in the 1980’s the GM Sonoma was created as a replacement for the Chevy LUV and was first known as the S15. Produced until the early 2000’s. Offering various trim levels and models, the GMC Sonoma has earned an important place in the GMC lineup. The perfect amount of power, comfort and versatility, Sonoma owners still love their trucks. While you may not be able to buy the Sonoma new anylonger, you can still find the parts you need to keep your truck running and looking like new. Order all your genuine GM OEM parts and accessories at wholesale prices here on GM-Car-Parts.com. From axles to bushings, find the parts you need when you need them. Enjoy the convenience of online shopping and the comfort that you are getting the right parts the first time. Simply provide your VIN number when placing your order and our staff will double check that you have the right part for your car or truck.